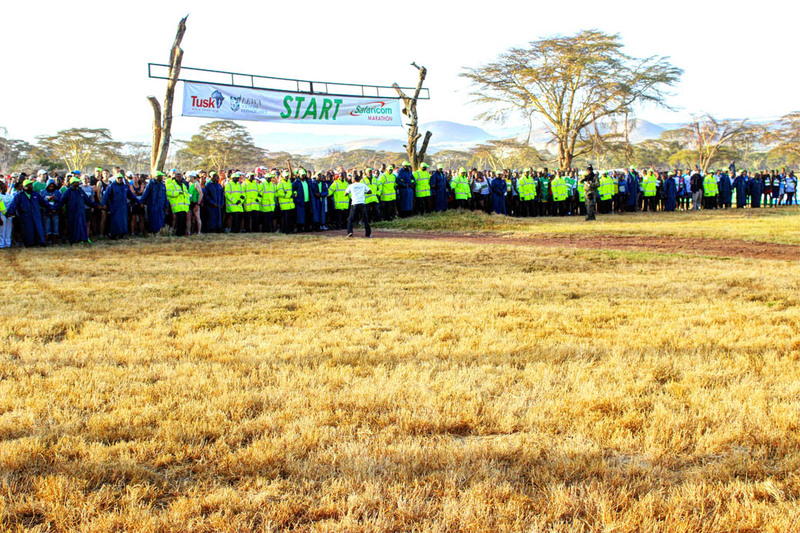 I recently took part in the 15th annual Safaricom Marathon and Half Marathon which took place on Lewa on Saturday, 28th June 2014. 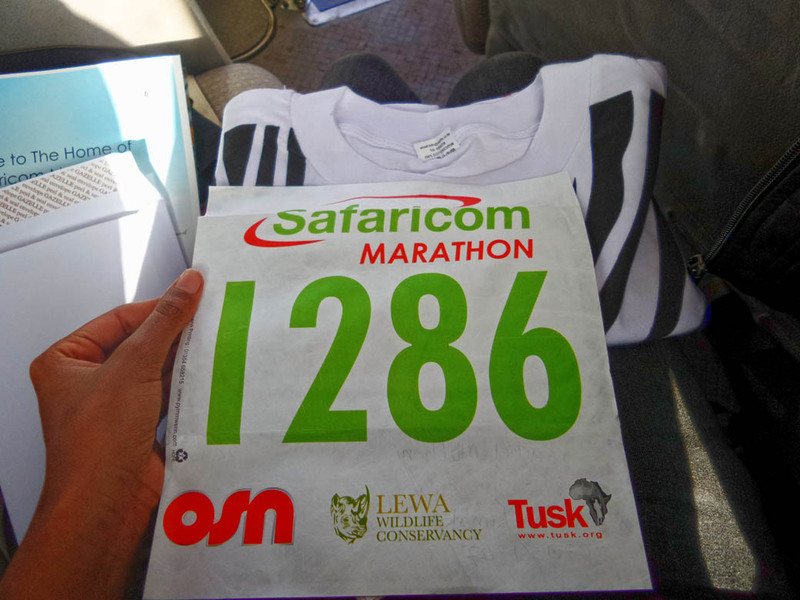 The Marathon takes place at the Lewa Conservancy in Northern Kenya, what began as a simple idea back in 2000 has now grown into a world-renowned event. 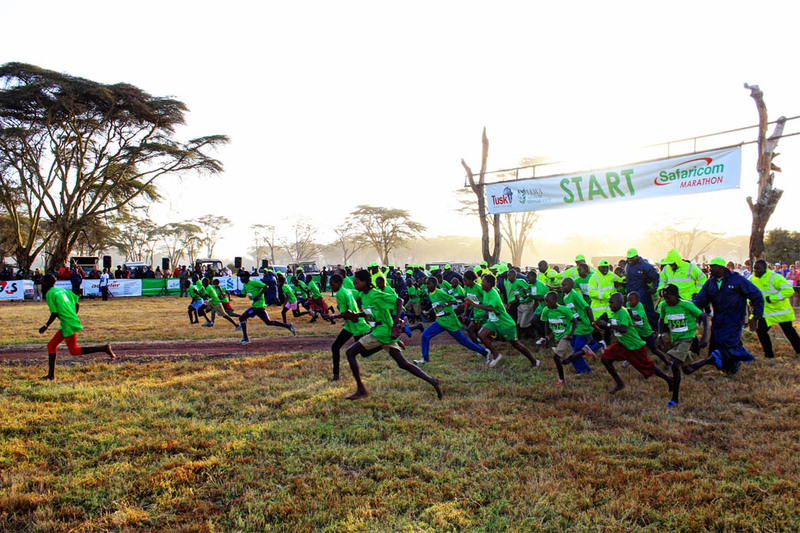 This unique marathon is exceptional in many ways — it combines an unusual fundraising initiative with one of Kenya’s greatest sporting passions – running! 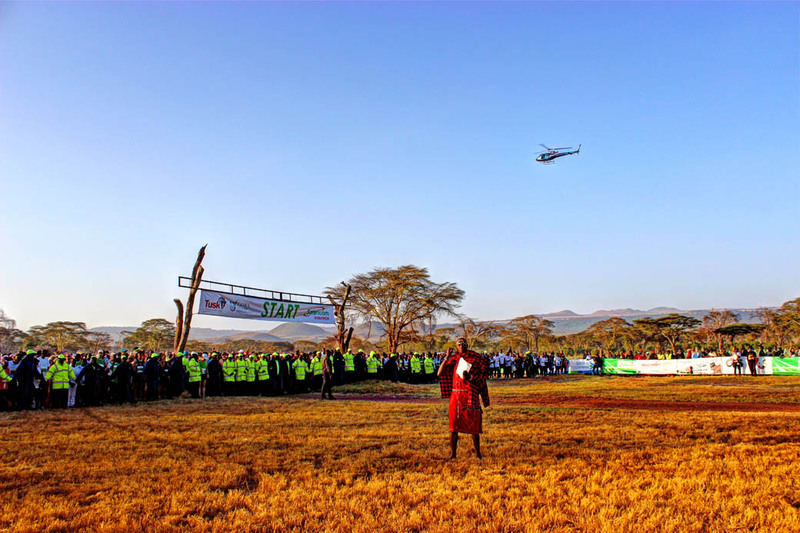 The Safaricom Marathon allows participants from all over the globe to compete in an internationally acclaimed event whilst running through some of Africa’s most breath-taking scenery. 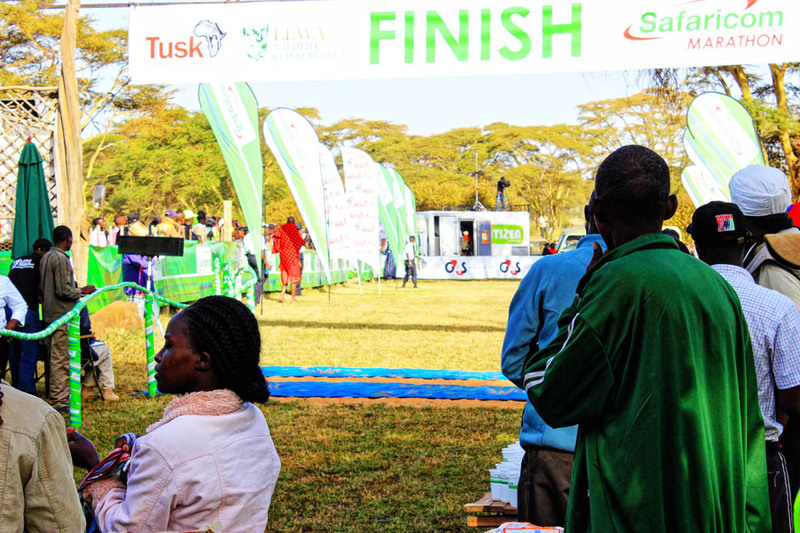 As a result, it has developed into one of the country’s major sporting events with a reputation for being one of the ten “must do” marathons in the world. 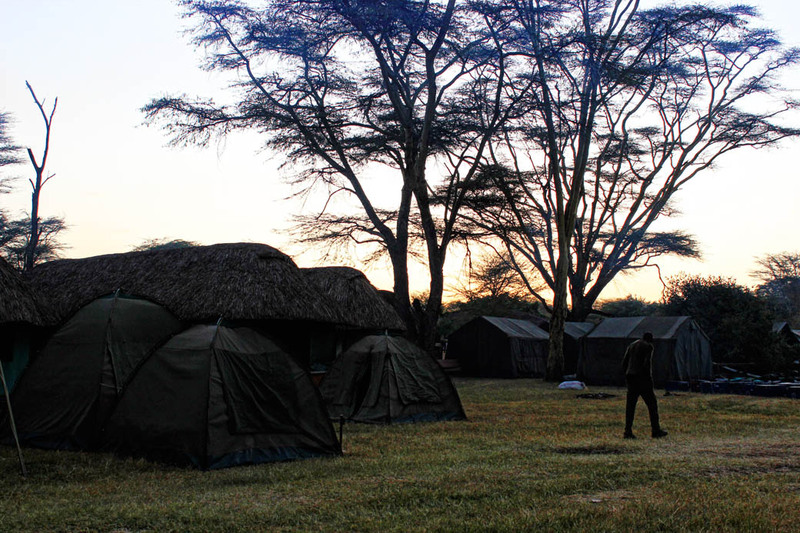 It all started with a simple call and week later and I was on a bus on my way to Lewa excited for the weekend. 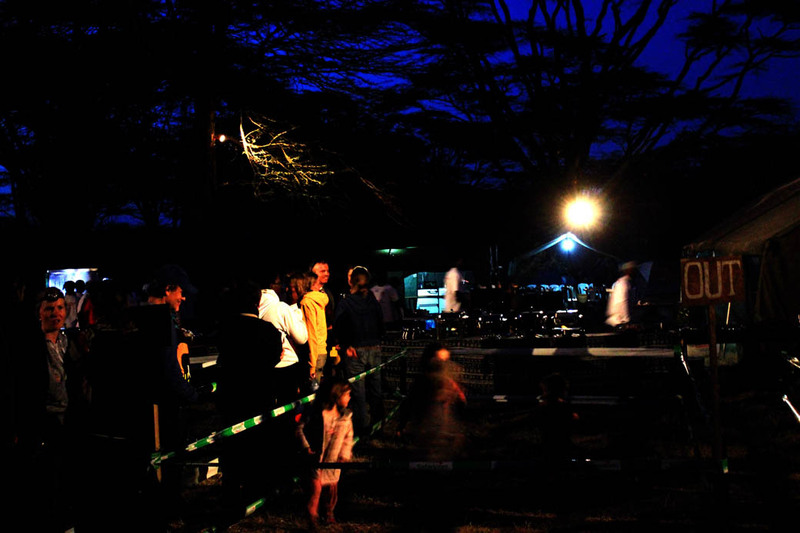 A huge thank you to everyone at Safaricom who made this possible. That’s one more item off my bucket list. After going through no less than 3 security checks I completed the registration process. Once you register you are handed a t-shirt, a hat, your running number, a medical emergency card and meal vouchers. 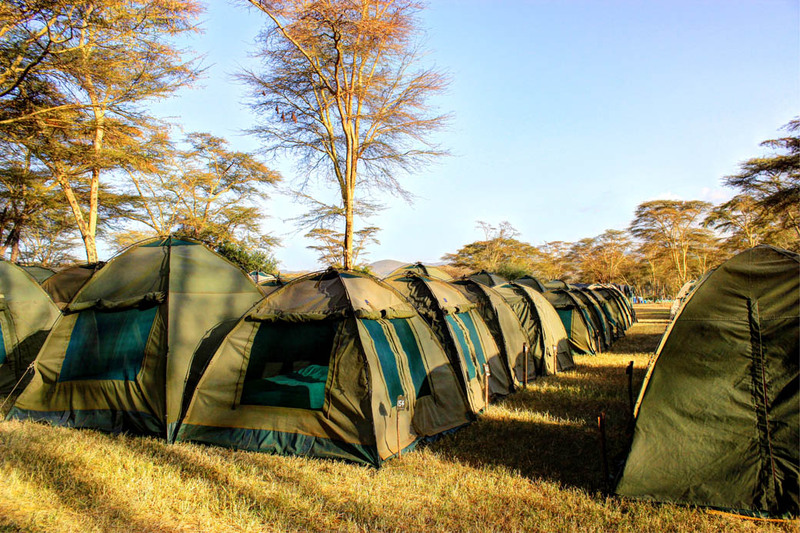 To be honest I had slightly high expectations about the accommodation so I was a bit shocked that we were staying in tents. I took it all in stride though; I am definitely not picky when it comes to such things. 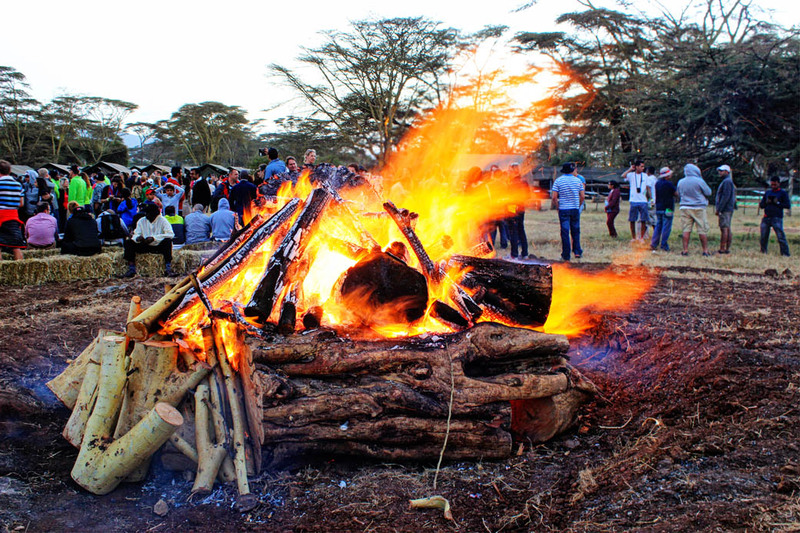 After settling in everyone at camp meet for a briefing by the bonfire. 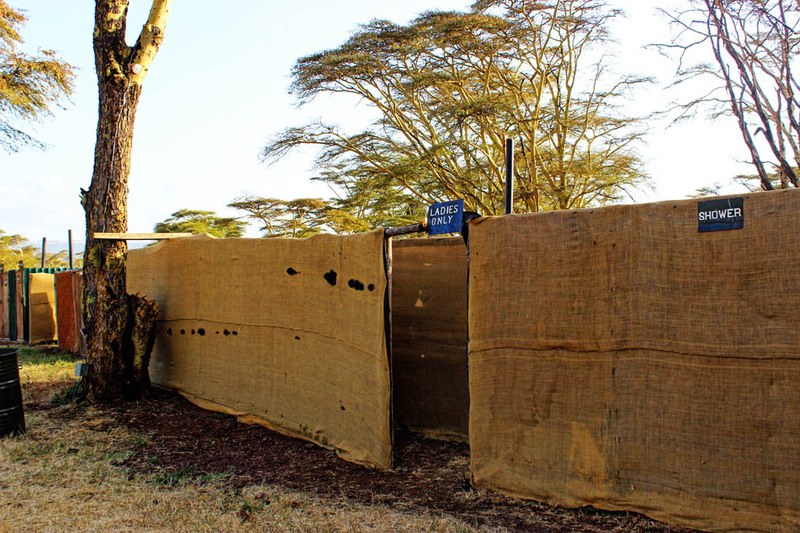 Lewa is absolutely freezing at night. Yes I had carried warm clothing as advised but I was still cold! 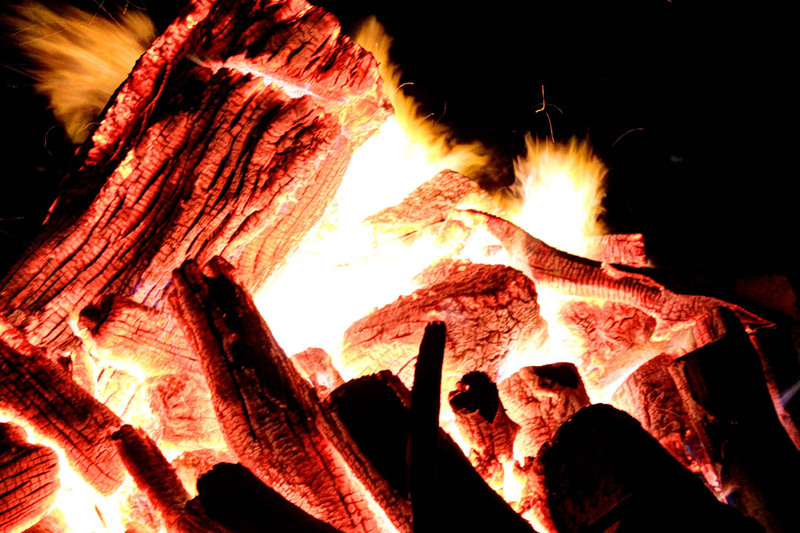 If one needs to stay out at night you need at least 2 layers and at least one of them should be a winter jacket. I had worn a jacket and a warm hoodie and I still was not warm enough. Needless to say I went to bed early seeing as I had a marathon to participate in the next day. On the day of the marathon I was up by 3am, I had not slept well and also I wanted to be ready on time for breakfast at 5am as the marathon was to start at 7:15am. I heard a few brave souls going to shower at that hour. I had no such plans; I figured it made more sense to shower after the marathon. The showers were outdoor and yes the water was cold. 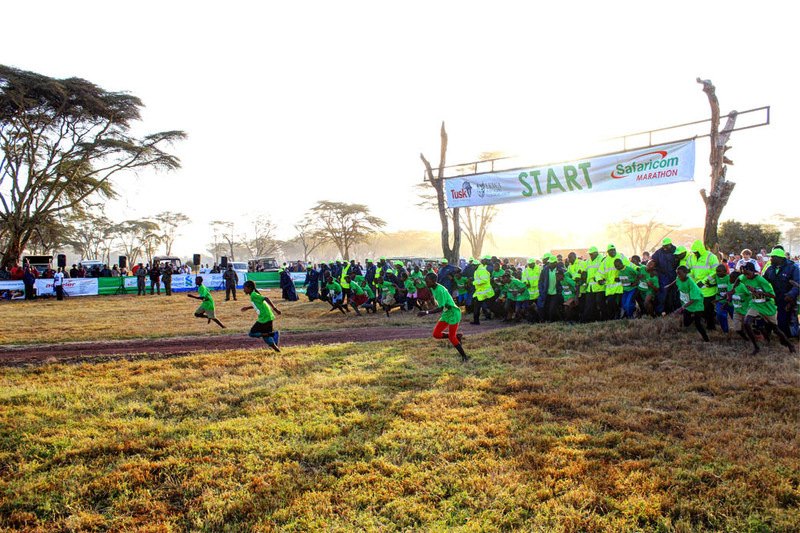 The childrens’ 10km was flagged off first. Apparently last year after they had set off they all came running back as they had spotted a lion on the road. This year there was no such incident. 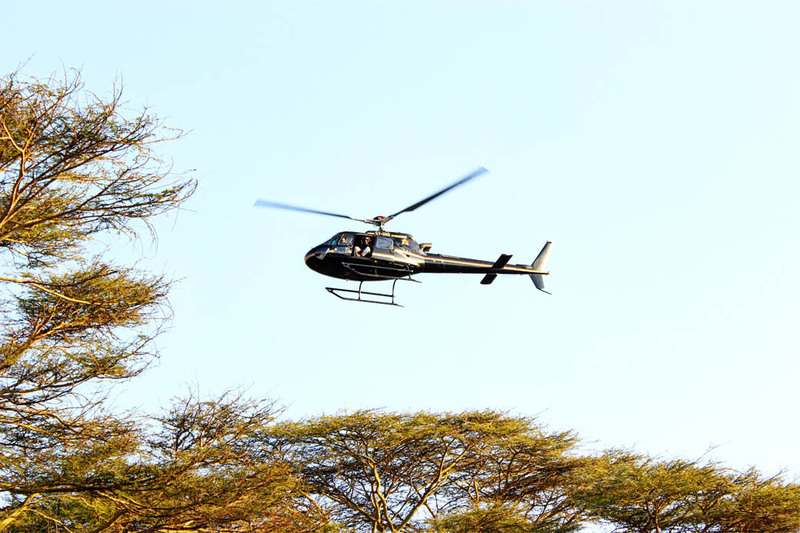 Before the marathon starts, the animals are usually chased away from the course by a helicopter. 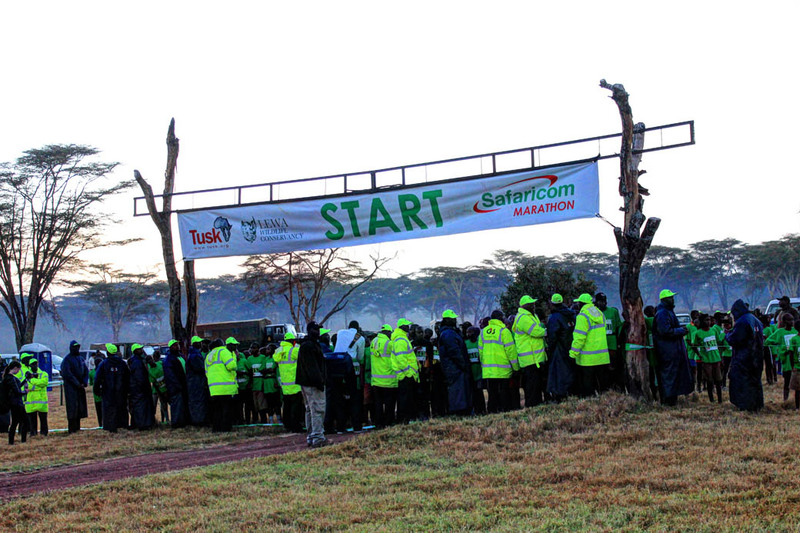 There are also rangers situated in areas where animals are likely to disrupt the marathon. 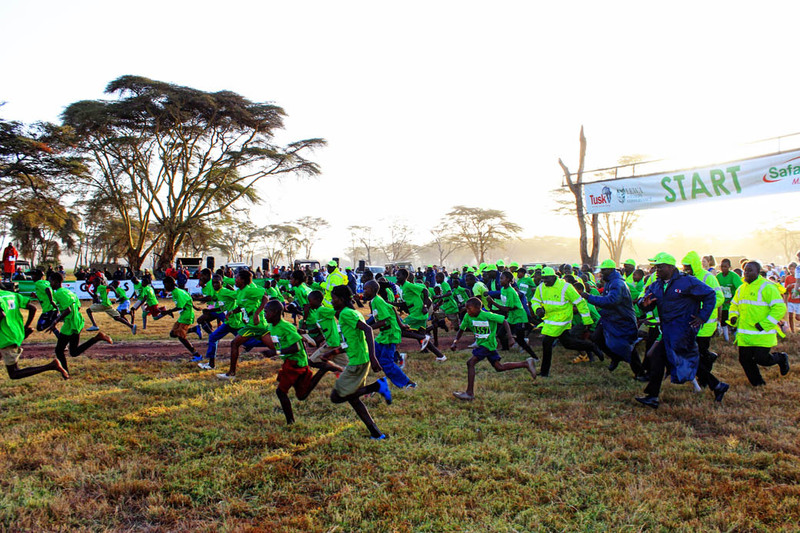 After the kids had set off, it was time for the half and full marathon to be flagged off. The competitors were a varied mix. There were professional runners, people who run as a hobby and of course people like me. 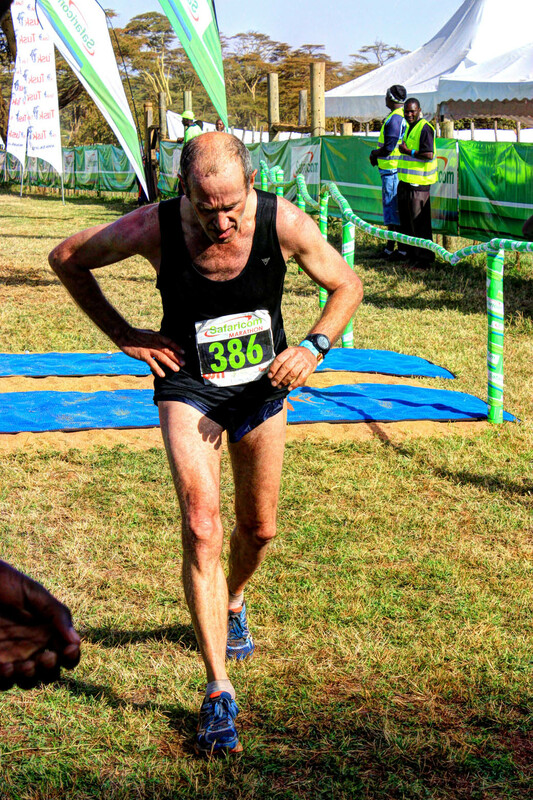 The half and full marathon started at around 7:20 and the reality of what I was doing sunk in after I had to take a break to use my inhaler at around the 2km mark. 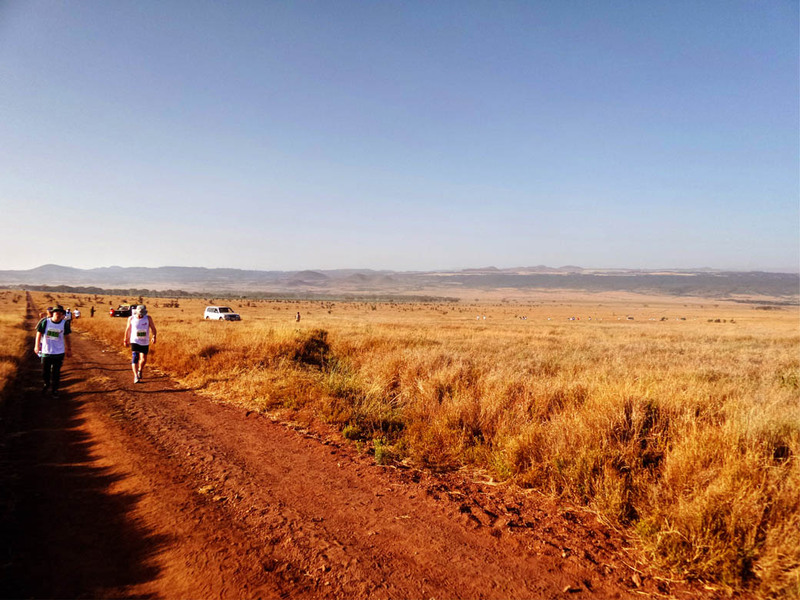 I was ok for the first 3km and everything seemed possible up until the 5th km where I could not begin to comprehend how on earth I was meant to continue and cover thrice the distance I had just covered. I had planned to take pictures throughout but I took my last picture at around the 4km mark as I needed ALL my energy just to keep going. Keep in mind that I had not trained at all, I have never run in a marathon and to top it all off I am not athletic at all. At around the 10km mark I started getting overlapped by the competitors running in the full marathon. I definitely felt like quitting at this point but I kept going. Majority of the course is uphill. The only time the course gets easy around the 18km mark. I have nothing else to compare this experience to but I don’t think I would be exaggerating by if I say it was tough. I spent 90% of the marathon giving myself motivational speeches. I also had my ipod and the music really helped to distract me from the pain. There were water stops every 2-2.5km. You could opt for water, Lucozade, orange wedges or a banana. 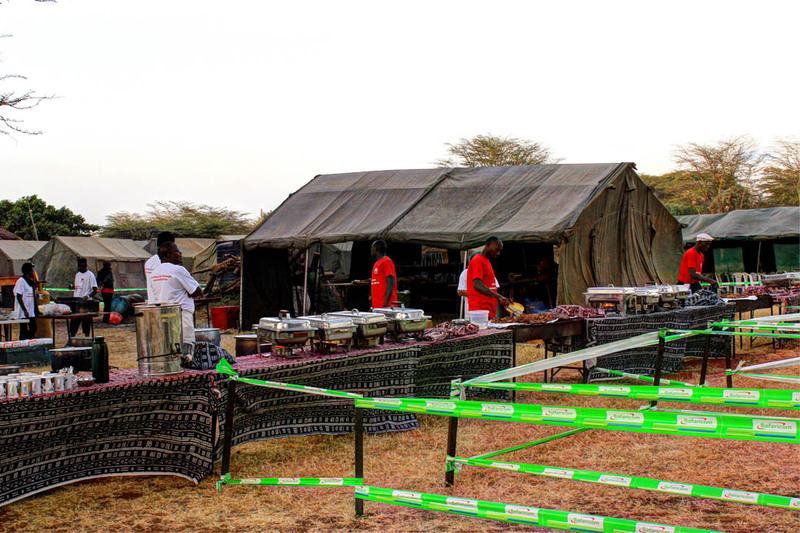 There were also misting stations every 7km, these were the best part of the marathon (second only to finishing) as the heat in Lewa during the day is no joke. On completion of the marathon I got medal and a goody bag with a kikoy, an alpen bar, a box of chocolates and a key ring. There was also a massage tent at the finish line. This was probably my favourite part. Huge thanks to David who kindly took the some of these photos for me while I was out in the wild feeling like I was going to die. 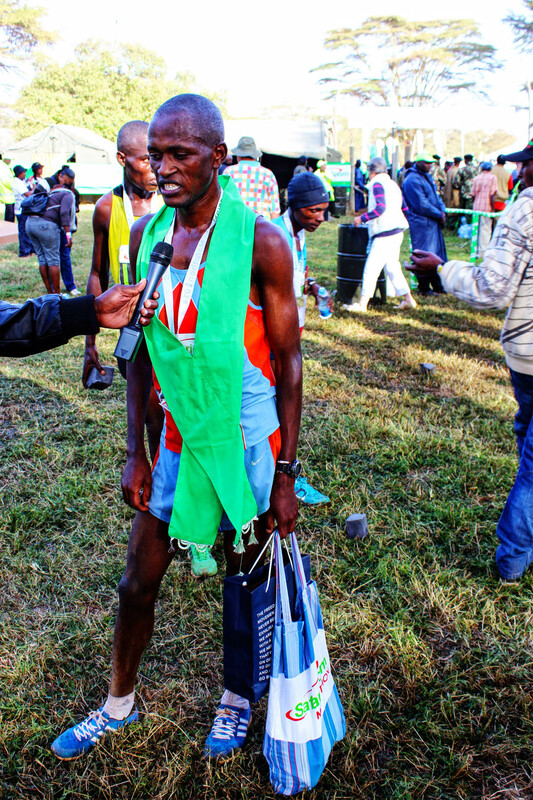 Philemon Baaru won this year’s race making history as the first man to win the full marathon 3 years in a row. Fridah Lodepa finished first in the women’s race, retaining her title and making history as well. 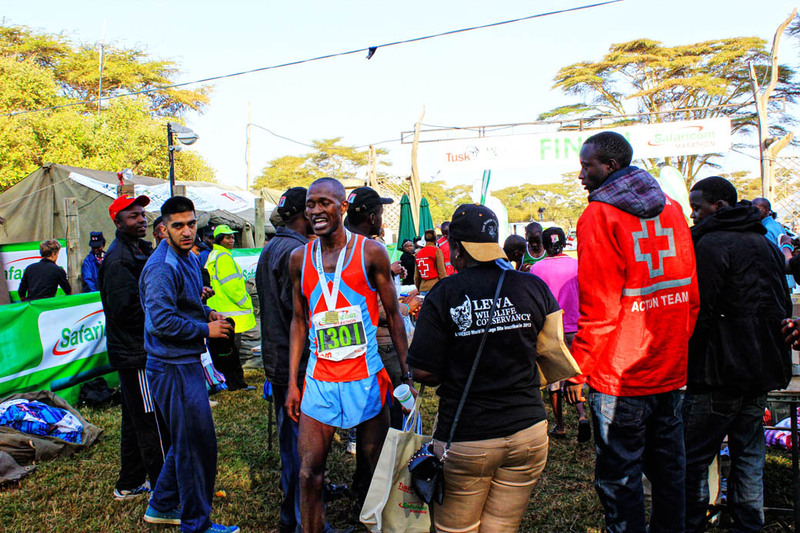 Nathan Mathenge won the men’s Half Marathon after clocking 1:05:14, only two seconds ahead of Robert Mbithi while Patrick Kithinji came in third. 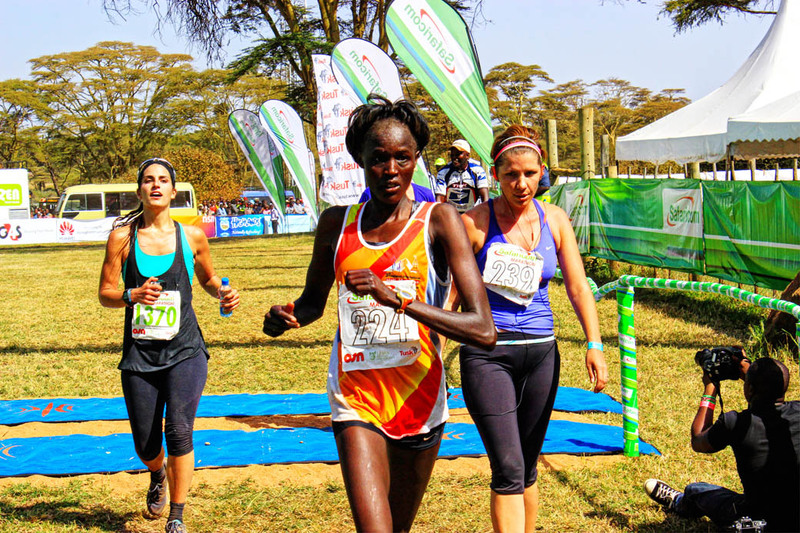 In the women’s category, Eunice Mwendwa dominated the race with a time of 1:15:46, followed by Lucy Karimi and Peredis Lekapana. 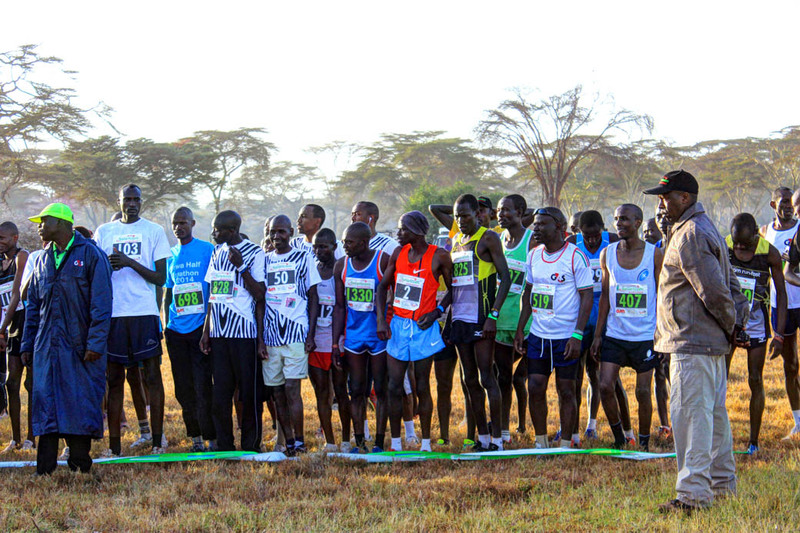 • Full Marathon Entry Fee: Ksh 5,000 ($55) with a minimum fundraising donation of Ksh 10,000 ($110) required for entry. Have you ever participated in a marathon? Let me tell you that people here seem to be so fit! I can’t see anyone being overweight. Sport is great. I often jog like once or twice a week and I try to do CSI training every two days to stay in a good shape (emotional and physical). 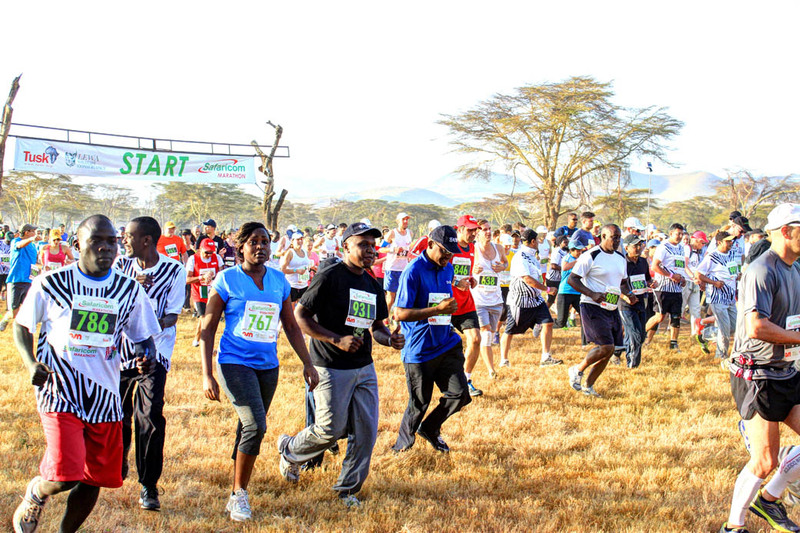 Kenyans walk alot so I’d say majority of the population is not overweight. I have been meaning to get fit for the longest time but I keep falling off tthe bandwagon. Kudos to you for keeping at it. Congrats! 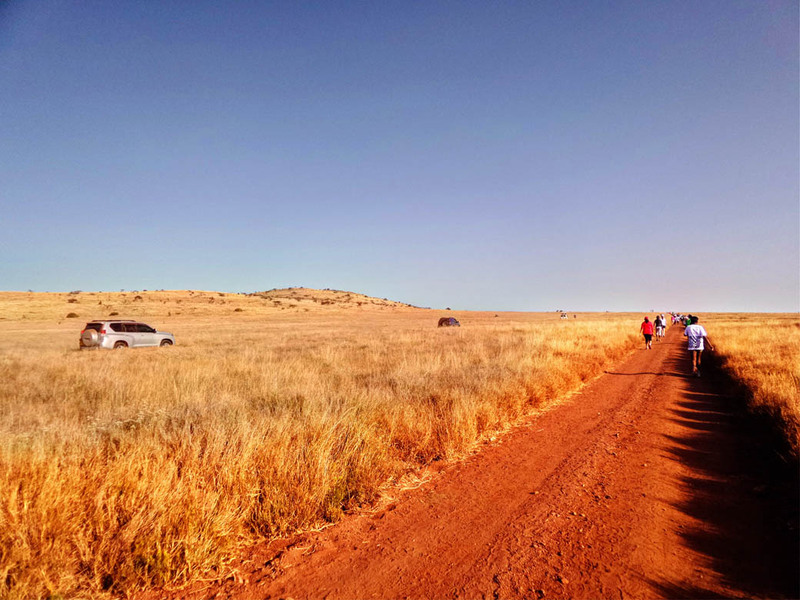 This is such an interesting event – I love that people are camping before the race. That must really provide a sense of connection with the surroundings before you start running through the natural beauty. This looks like an amazing experience!! I’m running my very first half marathon this week in Napa and Sonoma Valleys in California. 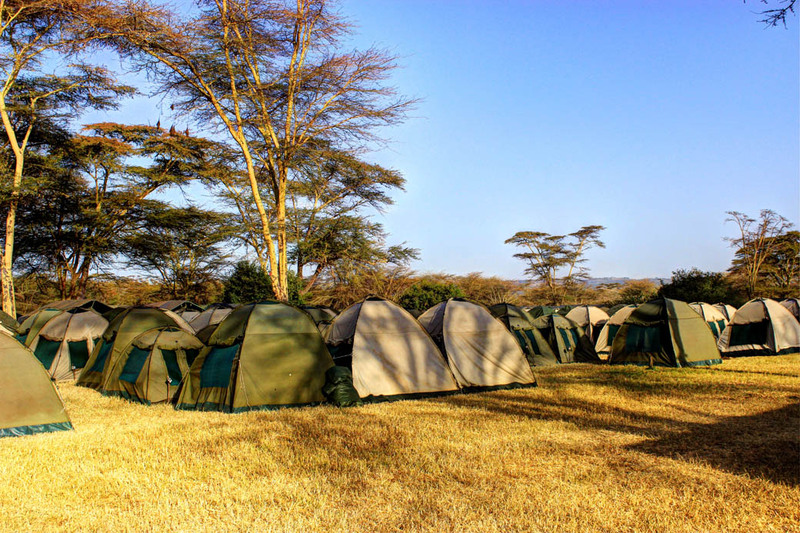 It will be beautiful landscapes, and very different from the African safari experience. Congrats to you on running that race! Amy I wish you all the best. I do hope you’ll share your experience. I would love to read about it. What a great experience to be a part of. All of your photos always send me dizzy. So much colour and life – I hope you do really well with these photos for a competition or similar. Thanks for linking up to us for #SundayTraveler. Congratulations! 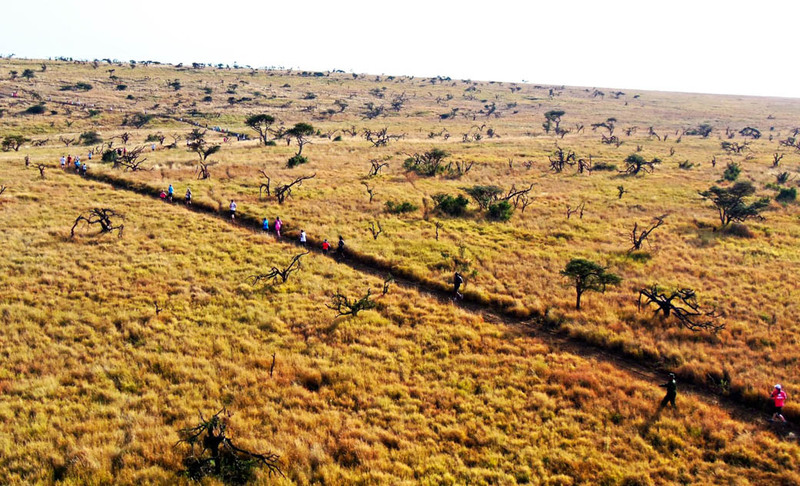 What a gorgeous place to run a marathon! Love your photos. Wow, Rachel. I applaud you for finishing a marathon that you didn’t even train for! Apparently, you’re more athletic than you thought because I don’t think I could’ve finished. And thankfully you guys didn’t run into any lions. I’d love to run a marathon one of these days although I’m sure that someone like me would need to train for months and months ahead of time! Thank you Dana. I am sure given the chance, you too would have finished. You really never know what you are capable of until given the chance. HI Rachel, you’re amazing, girl!! With no training and in need of inhalers – and yet you made it! Kudos to your determination. The marathon trail looks very spectacular. The first shot shows how really stunning it is. I enjoyed your photos; I felt I was there with you. I could feel the huffing and puffing of runners. I’m glad that there was not lion encounter this time. What a great event that I wish to witness (if not participate) someday. Thank you! The trail was spectacular and I’m hoping to eventually go back (after training) so that I don’t suffer through the marathon. If you ever take part please don’t follow my example. Congrats, Rachael for ticking that one off your bucket list! It sounds like fun, although quite tough (uphill almost all the way! ), marathon. And I guess the fact that it gets easier around 18th km doesn’t really matter. At that point (if you make it) you must feel like a pro :). I definitely felt like a pro. It was fun and tough, mostly tough but I am glad I did it. What an experience – well done you! 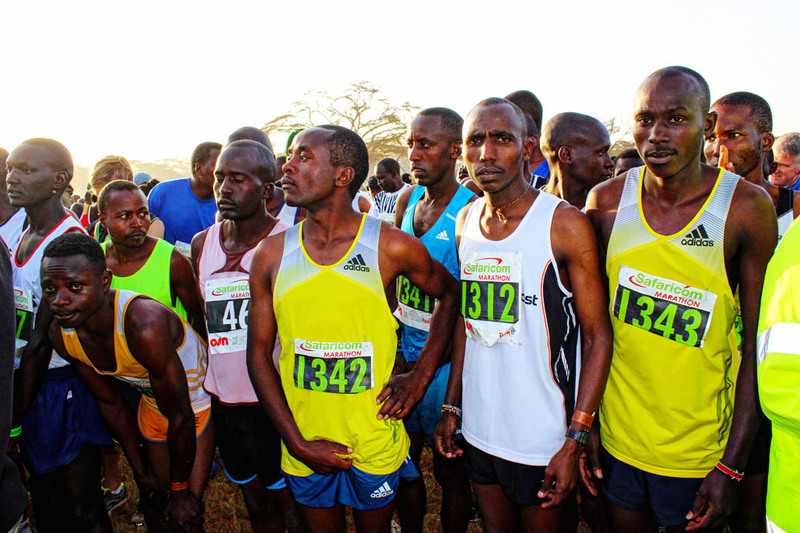 By the way are you sure about this…Half Marathon Entry Team Fee (5-10 runners per team): Ksh 150,000 ($165)? Ummm wow! I am so impressed with you right now. Running a full marathon at a whim with no training. You’re definitely athletic no matter what you say. Way more so than me. I don’t think I could even make it to 10K if I took off today on a run. Especially not in the heat. Congrats on finishing. I’m seriously impressed. Gosh no! I participated in the half marathon. I definitely would not have been able to comlete the full marathon. A great achievement. I guess there is no way of giving up half way through! Love the photo of the red road. No way would I be having a cold shower first up in the morning either. Congratulations. Great photos (That´s a real race). If you love running we recommend to you the Valencia marathon, is very nice. I am so impressed that you accomplished this without even training for it— in the heat—with hills. I would have needed a CPR station—not a water station. Good job! (PS: I found you at Mike Vogler ‘ s blog). Wow, you are amazing. I have only done a 5K and that was with a few months of training. I really admire you for taking on this challenge AND completing the race. My teen would want to do that 10K. Imagine finding a lion in the middle of the course! 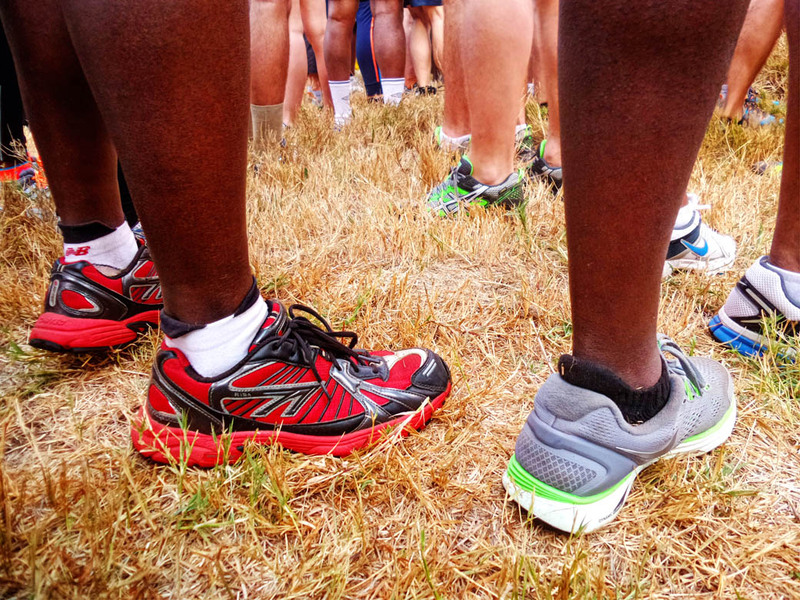 I notice that many of the runners are barefoot. I’ve seen that a few times in Malaysia, too. It seems rather rare in America to go barefoot as people buy “barefoot shoes” to mimic it instead.